For divorcee Kate Dennison, life couldn't be better. She has a beautiful seven year old daughter, she owns the perfect little house in a quaint old neighborhood of Wilmington, North Carolina and she's just taken an exciting new job as a reporter for a weekly newspaper. She's even rekindled an old flame with a man from her past, Bryan Haas. Although she used to refer to him as "The Tall Skinny Guy Who Couldn't Commit" things will be different this time around. She's sure of it. But instead of school pageants and the deadly dull meetings of the Planning and Zoning Board of Appeals, Kate is assigned to cover a fatal fire in a luxury ocean front home, apparently set by a militant environmentalist group called The Forces of Nature. Two men perished in the flames and a radical college student named Tim Kessler is charged with their murder. Despite her pledge to remain unbiased, Kate believes Kessler is being tried for a crime he didn't commit and she sets out to prove it. 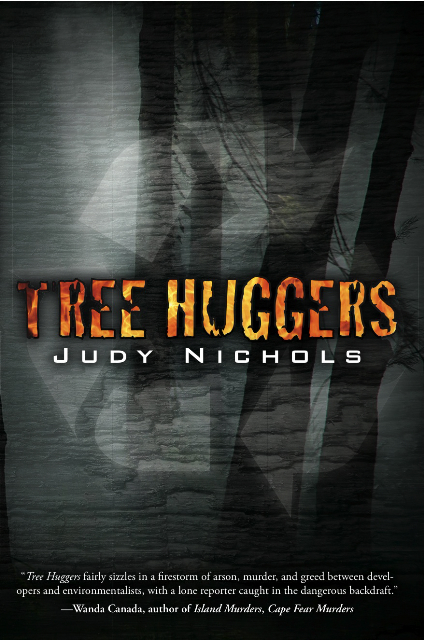 As she works to unearth the truth, she begins to fear for her own safety. She receives death threats, her office is firebombed and she finds herself embroiled in a bitter custody battle with her ex-husband. Kate faces the prospect of losing her freedom, her daughter and even her life and she wonders how high a price she's willing to pay for the truth.